Every one wants to experience the VIP treatment when they go to Vegas, but my first trip was based on a student budget so it was far from the ideal VIP vacation. Being from Australia, I have been able to legally gamble since I was 18, but when my 21st came around, I knew i had to go to Vegas to celebrate in style. While I had been to the major casinos in Australia, I knew it wouldn’t be the same as going to Vegas, even if my budget was limited. Although my trip wasn’t VIP from start to finish, such as flying first class, and playing at the high rollers tables, it was sporadically filled with VIP treatments. These experiences along with some tips and tricks I picked up along the way have made my next trip to vegas look very luxurious indeed. When booking the trip, my three friends and I decided not to skimp on where we were staying as when it came to Vegas we believed that being in the centre of the action was incredibly important. 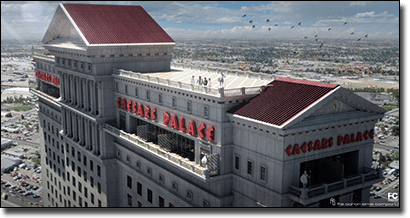 Thanks to The Hangover being incredibly popular at the time, we only knew of one hotel and casino right in the middle of the strip so obviously we booked into Caesars Palace Las Vegas Hotel and Casino. We did our research though and after reading several reviews we knew it was the casino to first try our luck out of all the gaming venues which laced the strip. We knew we would be heading to the low limit tables first as our budget didn’t cater to those that accepted fat wallets only, but we found solace in the fact that we could use many Hangover quotes around the Hotel and Casino. After one long flight and one short flight we landed in Vegas airport only to find the airpot lined with slots, which was something none of us had ever seen before. We knew instantly our bankroll was going to have to be reevaluated. Once we got our luggage we noticed a man with a sign featuring my last name on it, so we approached him, confused. He told us it was a gift from my sister for my 21st birthday and he would take us all to the hotel, making us all feel very important indeed. There are cheaper alternatives and to be honest this isn’t really imperative to a VIP experience, but you could end up getting something like this free if you get a casino host, which is something I’ll discuss below. Once we had rolled up in our stretched limo and got out with an added air of confidence we headed into the back entrance of the hotel. We didn’t realise there was a front entrance and thought the Hangover had recreated a whole new lobby in a studio, but we later discovered otherwise. Even without spending a cent at the casino we felt like superstars as everyone was carting our luggage everywhere and we did not have to do a thing. Once we checked in we were escorted up to the room, with our bell boy commenting as he carried our luggage to the room that the Octavius tower meant we were going to have a “very good time indeed”. We were unsure of what he meant, especially since we planned to be on the casino floor rather than in our rooms most of the time, and to this day we still don’t know what he was going on about. Regardless, the rooms were amazing but that wasn’t what we had gone there for. Once we had settled in we headed down to take a look at the casino and opted for a two metre tequila slushy to accompany us on our rounds around the casino floor. We then decided to split up, since some of my friends preferred slots and the wheel type games, while another friend and I enjoyed table games more. We found the lowest limit possible for blackjack and started there. We were quite rusty in terms of gameplay but this is where we would say we got our own VIP experience. Since there wasn’t many people at our table, the dealer decided to give us a lesson in blackjack, free of charge, even offering us some basic strategy tips. He showed us the best moves to make in terms of our hands and his up card as well as advising us to keep the rules in check such as whether or not the dealer should stand of a soft 17. We found this incredibly useful for not only the rest of the night but actually even now when we play online and at land-based casinos. If you are rusty in terms of gameplay it might be a good idea to find an empty table and chat to your dealer for some tips, even if you have to play a few rounds with money. Once the dealers changed over we tried our luck using his advice and actually ended up being up around $300, so we decided to walk away and look into other games. Standard practice in Vegas involves getting free drinks when you gamble so we decided to see how the system worked. At first we only tipped $1 to the lady who found us spinning the reels of a slot machine, and noticed she took a very long time in returning our drinks. After our win we could afford a bigger tip so we decided to tip $50 for the two of us to another attendant and found her somehow finding us no matter where we were throughout the night and always remembering our drink orders. So for the VIP treatment in terms of regularly receiving drinks and great service I recommend tipping fairly big, if you can afford it. When we ventured to the craps table we noticed the dealer knew one of the players name and was joking around with him a lot. We thought perhaps they were friends, but later on when we were sitting at a bar chatting about it the bartender told us he was most likely a regular at the casino and got the benefits of always playing there. The bartender even stated that these players don’t even have to be high rollers to reap the benefits, so we decided to do our own research and find out what it meant to be a regular. We figured out the more you play the more likely you are going to get a casino host and score yourself some nice benefits, but you can indeed get one for just spending your money on their casino titles. 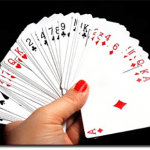 What is a casino host? A casino host is basically a rich companion that rewards you for spending your money at their casino. 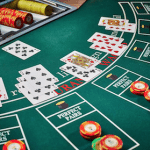 A casino host offers benefits to loyal players such as free tickets to shows, free meals and beverages, and sometimes even free rooms given the player, depending on the player and how much they have spent at the casino. Players who want a host should join the player’s club to get a card, which has all your gambling data and in turn is stored in the casino’s database, which also has every other cardholder’s information. Even if you have a card, some players may not think they qualify for a host, or will even be greeted by a host, but if you are gambling any amount of money you qualify for a host. While your amount may not score you flights to your favourite sports game, some perks for the regulars, it may score you free money exchange or express entry to clubs or events, as at the end of the day all players are valuable. Since we didn’t sign up for the player’s club, or even know we could get a casino host, we did miss out on a VIP service. 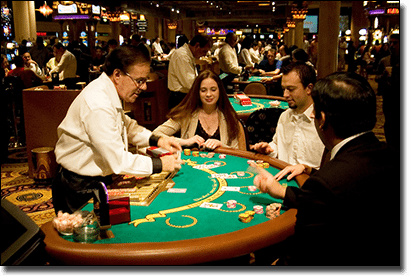 However, we did pick up quite a few tips which we have used at other casinos since. Here are the best tips we took away from gambling in Vegas in terms of creating your very own VIP experience. Sign up to the player’s club – As mentioned above, signing up to the player’s club will put you into the casino’s system. This means it will record how much you bet, how regularly you bet, and so on, and will be in the systems for the casino to see. This allows them to see how valuable (as bad as it sounds) you as a player are to them and while all players are valuable, in reality regulars and big spenders are more so than infrequent visitors and low limit players. If you are one to approach the casino for a host, which you can indeed do regardless of your spending amount (you just have to be gambling some amount) then they will see what you qualify for in order of the perks involved. Create a bankroll – The best tip I can five is to create a bankroll so you don’t walk into the casino, place a huge bet, and blow it all in one loss. The longer you play the more likely you will be noticed by the casino and even approached to offer their casino host services. If you aren’t one to approach the casino for a host, this may be the best technique to get noticed and can be achieved by creating a substantial bankroll that will last you a while. Tip for service – If you aren’t interested in a casino host, but still want a VIP service, tipping is a guaranteed way to get this. Obviously the higher the tip the better service you will receive, but only spend what you can afford on this. If you tip enough in terms of the attendant’s expectations you will never have an empty drink in your hand. Have fun – Regardless if you have a casino host or not, or even a big bankroll or not, if you are having fun you are likely to get noticed by the casino. This is because fun players attract crowds and the more people you attract to a table the more valuable you are. Creating a fun ambience is not only beneficial to yourself but beneficial to the casino and you may be rewarded for this via a few sneaky freebies.